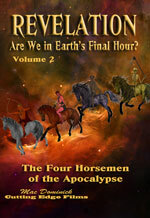 Item Name: REVELATION, #3: ARE WE IN EARTH'S FINAL HOUR? The Wrath of God!! Just when you think things could not possibly get worse (with the unleashing of the Four Horsemen of the Apocalypse a full one-third of the Earth's population either dies or is massacred)---Things get much worse. When stars fall from the heavens, the sun is darkened, the moon is turned to blood, and the heavens are rolled apart as a scroll---men will actually be able to see God sitting on His throne ready to exercise His wrath upon evil mankind. Even depraved mankind will recognize that this is going to be much worse than the disasters, plaques, and wars of the last 3.5 years and will do all they can to hide from the face of God and His wrath. How can stars actually fall to the earth? Can we believe the theoretical physics of our day; and as a result, dismiss the writings of the 6th seal as symbolism, allegory, or myth? Can we continue to accept the so-called 'science' of men whose sole purpose is to provide a worldview that eliminates or does not include God? Why does the Bible say the earth has 4 corners? Does this mean the Bible teaches of a flat earth? Who are the creatures that come from the Abyss with the blowing of the 5th Trumpet? Where did they come from, and how did they get in the Abyss? 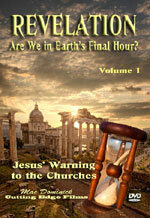 Volume 3 will cover the Tribulation Timeline from the 6th Seal to the 5th Trumpet. 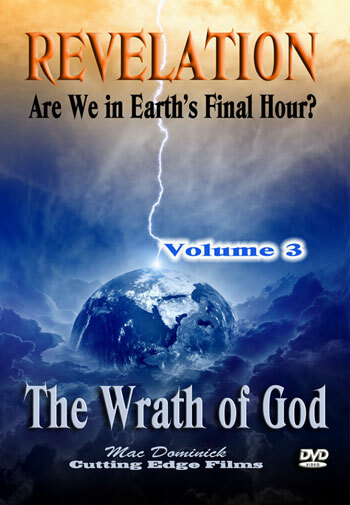 Our study will give us an understanding of the science and theology behind the outpouring of the wrath of God. Along the way, we will make some astounding discoveries and experience some completely unexpected surprises.